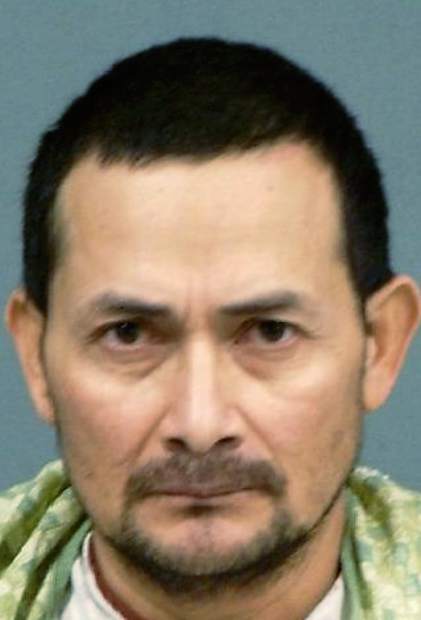 Arturo Navarrete-Portillo, now charged with first-degree murder, told authorities that he was trying to kill himself on the morning of Feb. 16 when he slammed his SUV into the back of a cattle truck less than 2 miles from his Carbondale apartment, where he admitted he had attacked his wife with a machete he used for tree-trimming. “He said he killed his wife, he doesn’t know how it happened, but he left in his car because he was crazy at that time,” investigators reported in documents unsealed Wednesday in Garfield County District Court. The arrest affidavit said Navarrete-Portillo, 46, didn’t remember what he and his wife were fighting about when he attacked Maria Carminda Portillo-Amaya, 30. The District Attorney’s Office and the Post Independent challenged the objection, and Judge James Boyd ultimately favored transparency after a hearing Tuesday. Boyd’s ruling came after 5 p.m. Tuesday, and the affidavit and defense objection were made public Wednesday after review by the clerk of court. The affidavit, penned by Carbondale Police Officer Luke Blue in the aftermath of the town’s first homicide in 12 years, paints a chilling picture of the slaying, but leaves many questions unanswered. It says two children were in the apartment where Portillo-Amaya’s body was discovered on the afternoon of Feb. 16, about nine hours after Navarrete-Portillo’s crash. The children’s ages were not available, nor was it clear how long they had been in the apartment or whether they had encountered the body. Navarrete-Portillo’s traffic accident was at 7:15 a.m. After being treated at Valley View Hospital in Glenwood Springs, he was flown by helicopter to St. Mary’s Hospital in Grand Junction. It was about 1:25 p.m. when Blue got that information and learned that Grand Junction Police Officer Geraldine Earthman was talking to Navarrete-Portillo, who said that he didn’t remember much about the crash and that he came to at Valley View. “Officer Earthman was unsure of the exact location of the residence of where the homicide was believed to have occurred, based upon the suspect’s description,” the document said. According to Blue, officers arrived at an apartment on Cooper Place during a search for the address Navarrete-Portillo provided. Several residences already had been checked to no avail. A woman pulled up and identified herself as the apartment’s renter. She refused to allow police to search the apartment, but agreed to check herself. “A few minutes later she ran back to the door in obvious distress along with two of her children who had been in the residence,” Blue wrote. “She said, ‘She’s dead’ and ‘She’s not breathing,’ and then told me that I could enter the residence. Portillo-Amaya was on a bed with deep cuts on her face and arms and large amounts of blood on the bed and wall behind the bed. Police found the machete, covered with what appeared to be blood and hair, leaning against the wall of the closet. Garfield County Coroner Rob Glassmire was called and pronounced Portillo-Amaya dead at 4:45 p.m. Glassmire later ruled the death a homicide. Dr. Robert Kurtzman, the forensic pathologist who performed the autopsy, told police that at least four cuts were consistent with the machete found at the scene, and the total number of wounds could be anywhere from five to 10. The affidavit does not suggest whether injuries to her arms and fingers were consistent with self-defense, nor does it reference a time of death. Both details are likely addressed in the full coroner’s report, which has not been released to the public. According to the affidavit, Navarrete-Portillo told police from his hospital bed that it was light outside when he attacked his wife, but said he didn’t know how long it was before he slammed his Toyota 4Runner into the cattle truck on Highway 133 just south of town. He called the incident “a very grave error.” Everyone else in the apartment at the time was sleeping, he said, and though both he and his wife had some wine, neither of them was drunk or under the influence of illegal or prescription drugs. He explained that the accident was an attempt to kill himself. He told authorities that by the time they were talking to him, he no longer wanted to commit suicide, and felt God had punished him with his injuries, certain arrest and probable deportation back to El Salvador after a jail term. The affidavit also includes an account of an interview with Navarrete-Portillo’s ex-wife, Mirium Delcid-Delcid, which introduces some inconsistencies. It suggests that a 6-year-old child of Navarrete-Portillo and Delcid-Delcid may have been in the apartment during or shortly before the incident. According to Delcid-Delcid, she and Navarrete-Portillo had the child before they separated in 2011. He was supposed to be in charge of the 6-year-old Feb. 15 and 16, but showed up around 4 a.m. on the 16th and dropped the child off. Police also interviewed Portillo-Amaya’s sister, Maria Arely, who told them Navarrete-Portillo believed his wife had been talking to other men, and had kicked her out of the house the previous fall. The two reportedly reconciled a couple months later but continued to fight. At one point, Maria Arely said, Navarrete-Portillo threatened to kill his wife and then crash his car and kill himself. Navarrete-Portillo will next appear in court April 28.